352 pages | 20 B/W Illus. We are frequently confronted with arguments. Arguments are attempts to persuade us - to influence our beliefs and actions – by giving us reasons to believe this or that. Critical Thinking: A Concise Guide will equip students with the concepts and techniques used in the identification, analysis and assessment of arguments whatever the subject-matter or context. Through precise and accessible discussion, this book provides the tools to become a successful critical thinker, one who can act and believe in accordance with good reasons, and who can articulate and make explicit those reasons. How to distinguish good reasoning from bad in terms of deductive validity and induction. This fifth edition has been revised and extensively updated throughout, including a significantly expanded range of ‘complete examples’, the introduction of Venn diagrams, and the discussion of fake news and related phenomena arising in the contemporary scene. 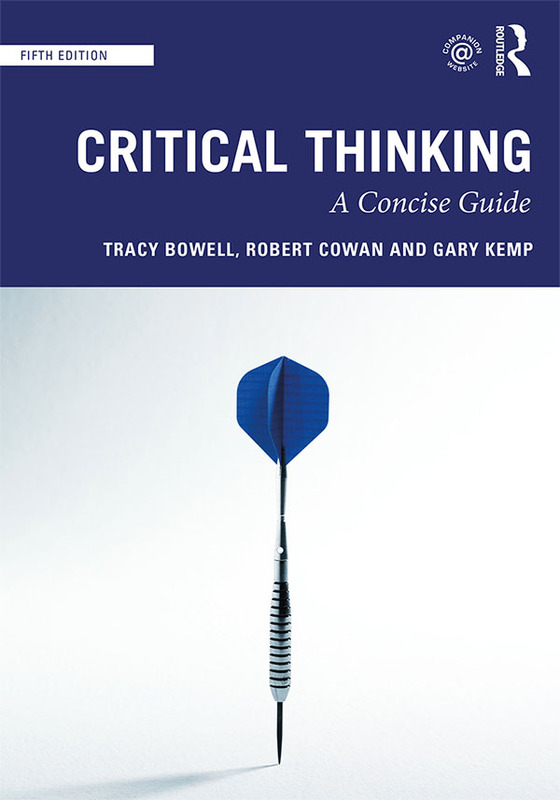 The dynamic Routledge Critical Thinking companion website provides thoroughly updated resources for both instructors and students, including new examples and case studies, flashcards, sample questions, practice questions and answers, student activities and a testbank of questions for use in the classroom. Visit www.routledge.com/cw/bowell. 8. Truth, Knowledge and Belief. Tracy Bowell is senior lecturer in Philosophy at the University of Waikato, New Zealand. Robert Cowan is a lecturer in Philosophy at the University of Glasgow, UK. Gary Kemp is senior lecturer in Philosophy at the University of Glasgow, UK.